You can find any of Julien's CDs, MP3 downloads and even items from his discography in the music store here. Payments, processing and fulfillment are handled securely by amazon.com. 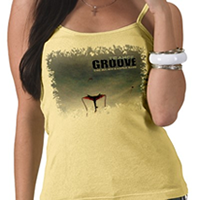 In addition to music, you'll also find a selection of merchandise available through zazzle.com. If you need something special to wear to an upcoming show, or just want to show off your great taste in music, check out the Merchandise section. You can customize the style, color and design of any item.